Naval Surface Warfare Center – Crane Division, acting as the program office for special operations weapons procurement on behalf of United States Special Operations Command has announced a $23,637,320 contract to L-3 Communications EOTech for Close Quarters Battle Sights. We do not yet have verification of which model was selected. 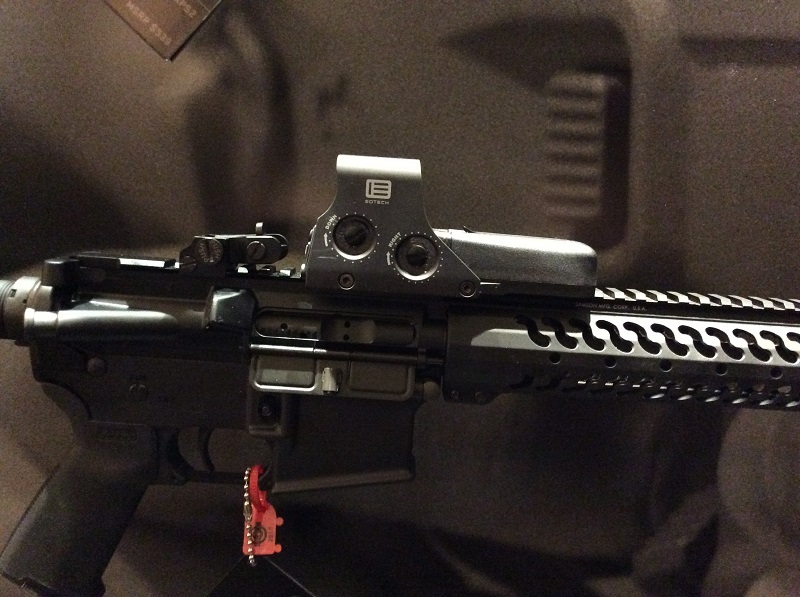 As you may recall, in September, 2015, we broke the story of severe issues with EOTech Holographic Weapon Sights. Ultimately, many (but not all) units within USSOCOM withdrew the sights from service and the US Department of Justice charged L-3 Communications with fraud. L-3 settled for over $25 million. 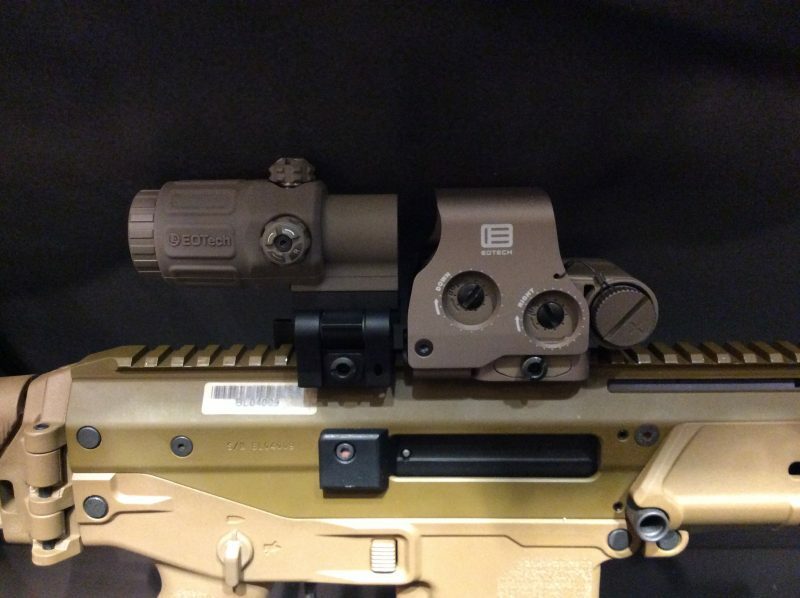 This led to a massive commercial refund program by EOTech, taking back virtually any EOTech sight identified by customers. SOF units tested and fielded various interim replacements and USSOCOM undertook a formal program to identify a replacement as part of their Miniature Aiming System – Day suite of optics. This contract award is a result of that effort. 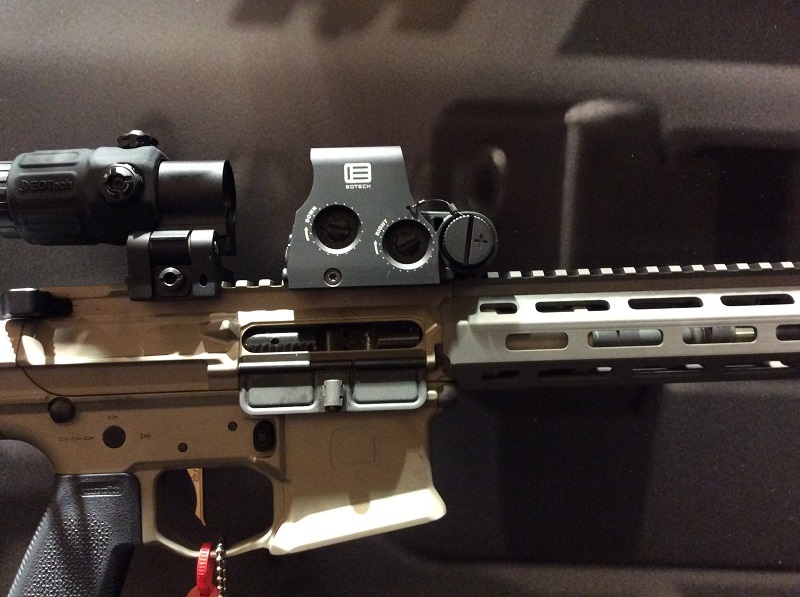 Internally, EOTech cleaned house, fixed their production issues, and introduced the VUDU line of telescopic sight. 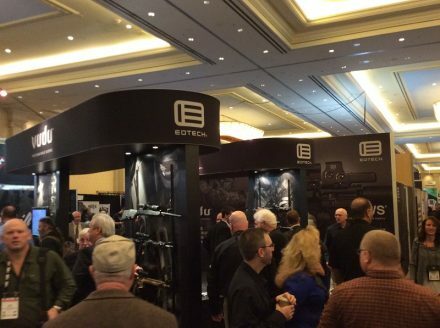 It’s a testament to the dedication of EOTech that they were able to turn themselves in three years and win the business back. I’m impressed. EOTech released this teaser earlier today on Instagram, depicting a green reticle option for the XPS and EXPS Holographic Weapon Sights. People often ask why green lasers are preferable to red. It’s the same reason EOTech is introducing the green reticle; the eye picks up green more quickly than red. 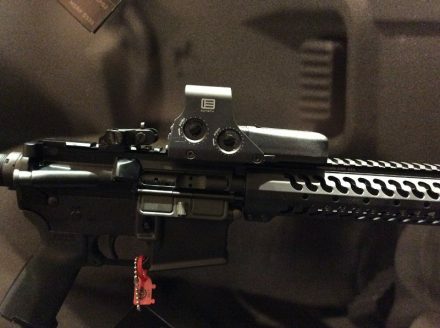 In 2015, EOTech was found to have defrauded the US government over the performance of their Holographic Weapon Sights. They quickly settled with the government. As you can imagine, consumers who had purchased the sights were outraged. EOTech parent company L3, launched a return program to reimburse the original price of the optics for those who were no longer happy with their purchase. However, a class-action lawsuit was launched against L3 anyway. This is the result. What did participants in that class action lawsuit get? A voucher for $22.50 toward a new EOTech optic which much be used within a year. Hat’s off to L3 for owning up to the issue and refunding full purchase prices for those who returned their optics. This? It’s an insult to consumers. The law firm “looking out” for the consumer should disclose how much they made off of the deal. A proposed settlement has been announced for the class action lawsuit initiated by Andrew Tyler Foster against L-3 Communications, for the various performance issued suffered by the EOTech line of Holographic Weapon Sights manufactured between January 1, 2005, and November 1, 2016, including POI shift due to hot and cold temperature extremes, commonly known as thermal drift. Check out the full details at the link below to see if you qualify for the class action, and how to file a claim. EOTech showed up at Media Day at the Range with a new logo not only for their main brand, but also for their line of Vudu scopes. While EOTech’s main focus was on the Vudu line, we also caught a glimpse of an EOTech electro-optic sporting the new branding, found on the Q Honey Badger, which we will focus on in an upcoming article. It was just a matter of time before it happened. Apparently, getting a full refund for the purchase price of a EOTech Holographic Weapon Sight, without having to show a receipt wasn’t enough. Clay Pittman individually and on behalf of all others similarly situated, have filed a class action lawsuit against L3 Communications and their EOTech business unit. But, the most important petition to the court is to establish this case as the class action meaning any other cases would have to join this one. Plaintiff Pittman is a Texan and is represented by The Miller Lawfirm PC of Rochester, Michigan. This is a different firm than Douglas, Haun & Heidemann PC which we wrote about in the past and uses the website EOTechlawsuit.com. The plaintiff goes into a great deal of detail in the complaint so it’s definitely worth a read. This is the contents of an email sent to LE agencies and dealers by EOTech requiring them to acknowledge the Holographic Weapons Sights performance issues. Please be advised that any EOTech Holographic Weapon Sight orders that are to be shipped to an agency are currently ON HOLD at EOTech. In order to get those orders released you must follow the process outlined at the bottom of this email. Most all current orders on hold are available to be shipped as soon as this process is complete. This is a fairly simple process in which you identify the order number and agency POC, and then, copy and paste an email template to the agency that includes a workable link. Inside that link, the agency POC will be able to read and acknowledge EOTech’s current specifications. At that point, once acknowledged by the agency on the web link, the product will auto ship to the agency. Some of you have seen this process as you had agency orders in queue when it rolled out, and I notified you of the steps. It was my understanding early on that this was only for current orders in queue, so I notified only those customers. Currently the directive is to continue this process until further notice, so I am sending this out to everyone. If you have a law enforcement order waiting to ship, this process must be completed. If you have a non-LE direct order that needs to ship for stocking or consumer level sales, please send me that PO number and I will get the order released. Some of those orders may have been held up if you were flagged as an LE dealer/distributor in order to ensure no agency received sights without acknowledgement. Do NOT under any circumstances attempt to circumvent this process. If it is going to an agency, it must follow the procedures. If you are a commercial, non-LE account and you received this email, you may disregard. Please, if you have any questions at all, feel free to give me a call. The process is outlined below. Below is the LE Acknowledgement instructions in regards to releasing orders. This is LIVE and ready to go. Step 2: Email the agency the standard email language (Below) with Sales Order # referenced, including embedded link to HWS performance specs on EOTech’s website. Step 3: Agency contact completes form and acknowledges review of HWS performance specs by clicking in the acceptance box. Note: Both acceptance boxes need to be checked. Step 4: A copy of the agency POC acceptance is auto generated to EOTech’s order entry and to relevant sales personnel. Step 5: The law enforcement order is released from ship hold and is shipped. With respect to your backorder of EOTech sights, S.O. #<INSERT ORDER NO.>, we are ready to ship but need your acknowledgement of the HWS Performance Specifications. Click HERE to review that information and provide acknowledgement. Allow approximately 1-2 weeks for delivery.